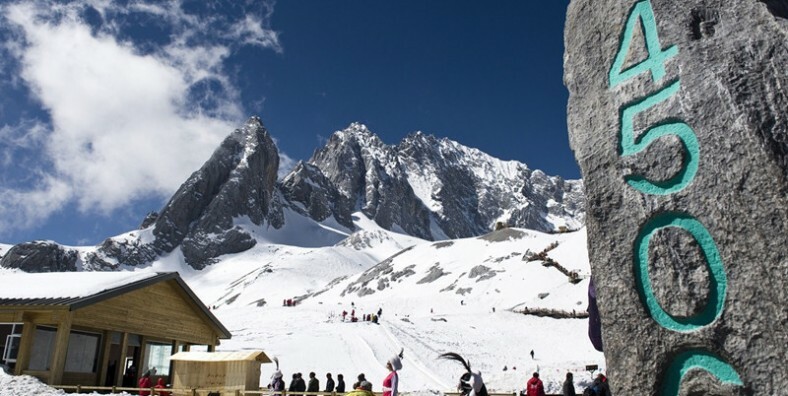 Jade Dragon Snow Mountain (Yulong Mountain) is the southernmost glacier in the Northern Hemisphere. 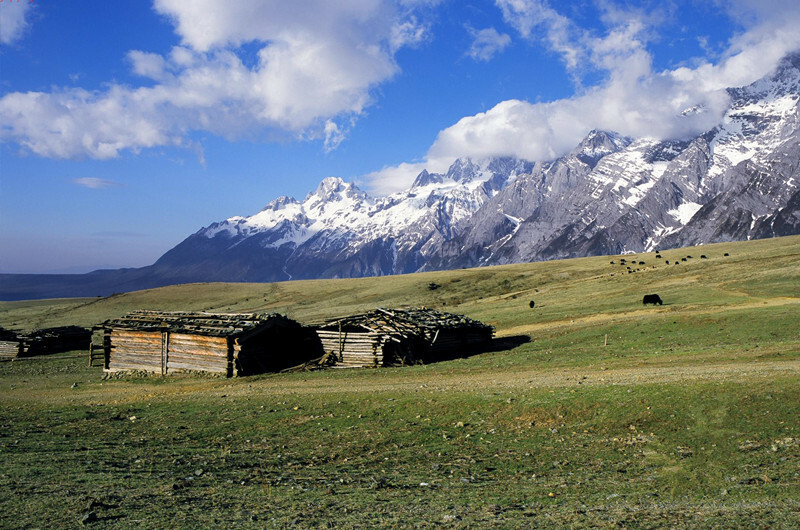 Consisting of 13 peaks, among which Shanzidou is the highest with an altitude of 5,600 meters, the mountain stretches a length of 35 kilometers and a width of 20 kilometers. Looked from Lijiang Old Town in the south which is 15 kilometers away, the snow-covered and fog-enlaced mountain resembles a jade dragon lying in the clouds, hence the name. 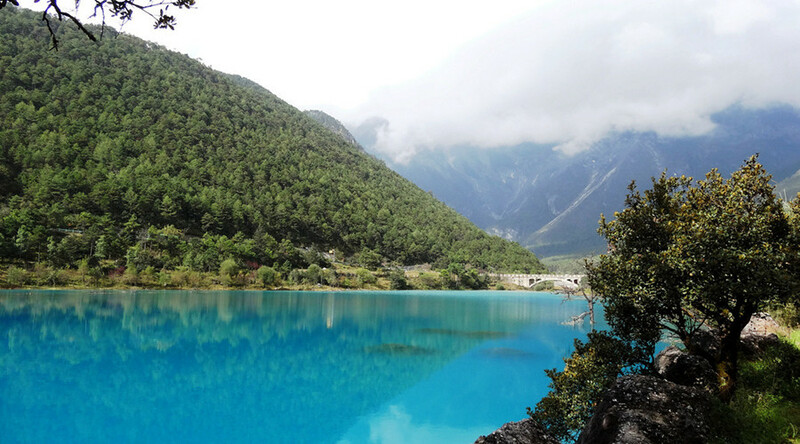 Explore Jade Dragon Snow Mountain and visit Ganghaizi Meadow, Baishui River and Blue Moon Valley. Feel and learn history of Lijiang from Baisha Old Town and Baisha Mural. Experience life, nature and culture in the performance of Impression Lijiang Ethnic Show. 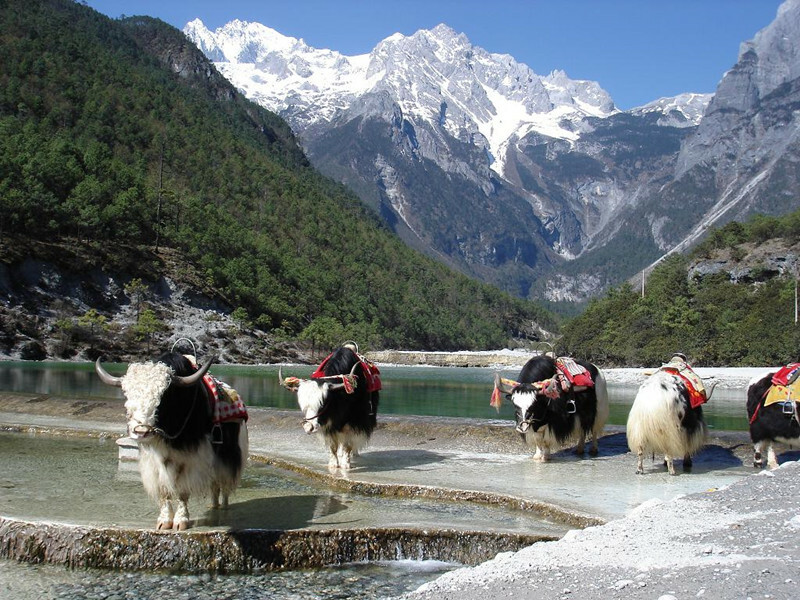 In the morning, meet your tour guide and driver at the waterwheel in Lijiang Ancient Town, then drive to Jade Dragon Snow Mountain which is 30 kilometers away from Lijiang Old Town. 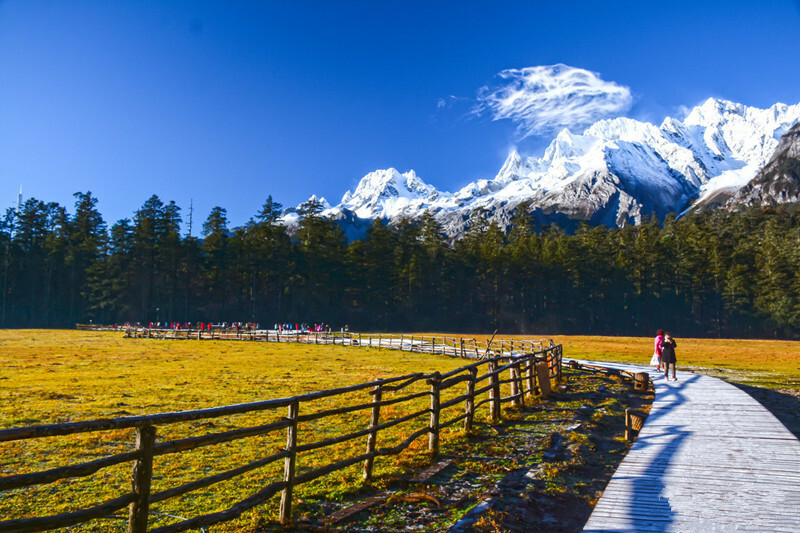 Visit Ganhaizi Meadow, then take the sightseeing bus to visit Baishui River, which is well-known as the Blue Moon Valley from the glacier of the snow mountain. 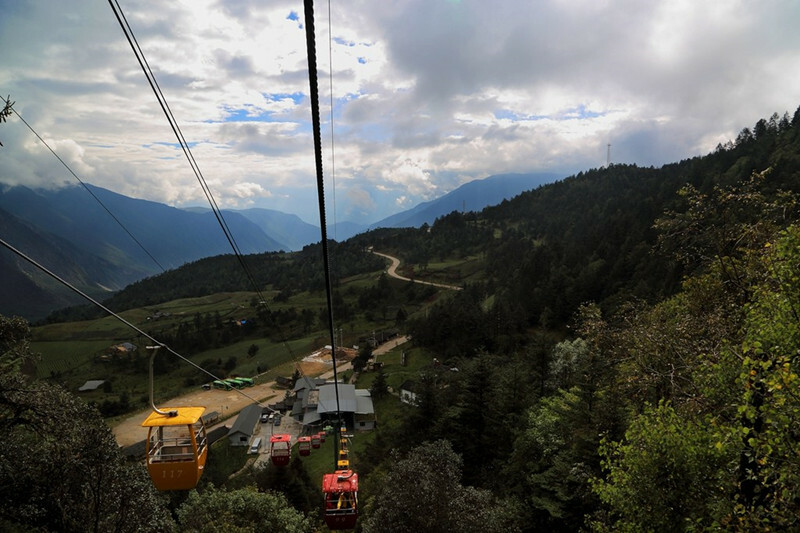 Take chairlift to visit the Spruce Meadow(3200 meters) in the snow mountain. Watch Impression Lijiang Ethnic Show in the outdoors theater in front of the Jade Dragon Snow Mountain. In the afternoon, visit Baisha Old Town and the Baisha Mural which has a history of about 600 years, it was listed in the World Cultural Heritage by the UNESCO 1997. If time permits, tour to the Yufeng Monastery at the foot of the mountain, which has a more than 500-year-old Great Camellia, will be available. Its blossoming period lasts more than 100 days a year, and produces more than 20,000 flowers in 20 groups. After dinner, you can attend the Naxi Orchestral and Show in Dongba Palace by your own.